Handerea Rolle, better known as the internet-famous “Miss Florida”, was caught with what police say is $1,700 worth of weed. They claim that her intention was to distribute the weed. They’re claiming that she is a drug trafficker. The trial is expected to begin in February of next year. The case revolves around a police bust at the home of Rolle’s boyfriend, Ilano Noel. The police entered the residence and found Noel attempting to flush the marijuana down the toilet while Rolle and another man, Kenneth Moncur, hid elsewhere in the house. Noel has already pleaded guilty to the crime and was sentenced to 18 months in prison. Both Rolle and Moncur have pleaded not guilty. The question then becomes: Can the police hold Rolle liable for possession of a controlled substance simply because she was in an apartment that got raided? Rolle contends that she was only at the apartment to get money from Noel with whom she has a child with. According to police, on the other hand, both Rolle and Moncur were aware that Noel possessed the marijuana. Police claim that Moncur indicated to them that he allowed Noel to use his apartment in exchange for money. That would certainly implicate Moncur in the distribution scheme. But what evidence do the police have against “Miss Florida”? If you’re wondering how three people can be in possession of the marijuana, then you’ve predicted what Rolle’s defense to the drug trafficking charges will be. Saying “these drugs don’t belong to me” is a valid defense against a possession with the intent to distribute charge is. The prosecution will need to find some other evidence than the fact that Rolle was in the same room with Noel in order to indict her on this charge. What Constitutes Possession in Florida? That the accused had control over the drug. In order to prove “intent to sell” all of the factors above must be true and the drug must be of a sufficient quantity that exceeds the parameters of individual use. The stumbling point for the prosecution is: Did Handerea Rolle have “control” over the drug. Judging only from the various newspaper articles that are being written on the subject, it doesn’t appear that they can establish that. The fact that Rolle’s boyfriend fell on his sword and pleaded guilty to the charge does not help the prosecution’s case either. They probably assume, however, that Rolle was somehow involved in the trafficking. Noel was caught with 12 ounces, which is four shy of a pound. That’s not really a lot, but it’s not a little either. They will need to establish Rolle’s role in the trafficking in order to get a conviction. 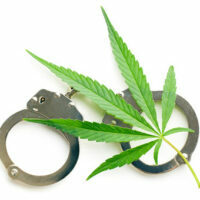 If you’ve been charged with a drug crime in Florida, the prosecution must establish your relationship to the drug. The Skier Law Firm P.A. in West Palm Beach has experience handling these cases and will help you get a verdict that you can live with. Give us a call or contact us online to set up and appointment.